This kit was designed and sold in my store at Ivy Scraps in June, 2013. I am now releasing it gradually as a freebie for personal use only. The basic kit was comprised of the elements shown below along with matching papers plus 4 sets of clusters and a quickpage. 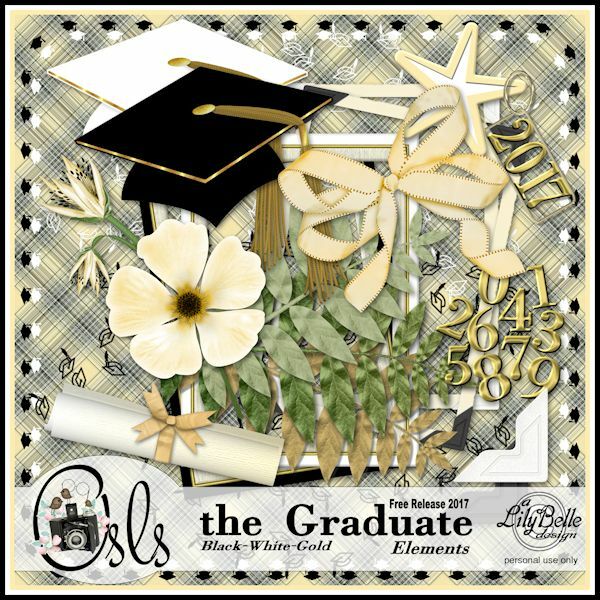 The elements and papers will be available for download here but the clusters and quickpage plus any new designs I create will be available to OSLS members only. 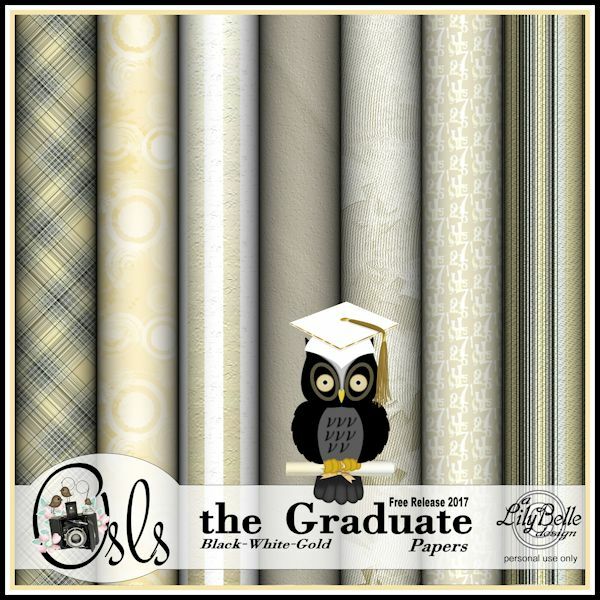 Today, the Black and Gold elements and papers are available for download. Thank you for such a generous gift! Beautiful.